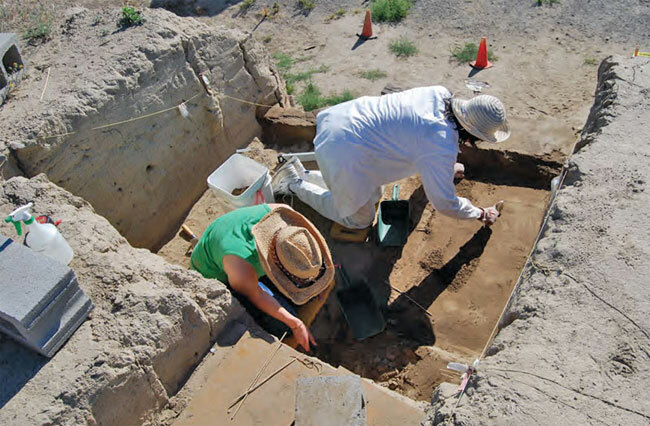 Excavation of the Coyote Canyon Mammoth Site is being conducted on a 2 m x 2 m grid, in 10 cm lifts (or vertical levels). Sediments within each level are segregated based on their stratigraphic context (e.g. in situ sediments, krotovinas, sluff/backfill). The sediments are then processed through a wet screen operation to retain and clean sediments greater than 1 mm in diameter. 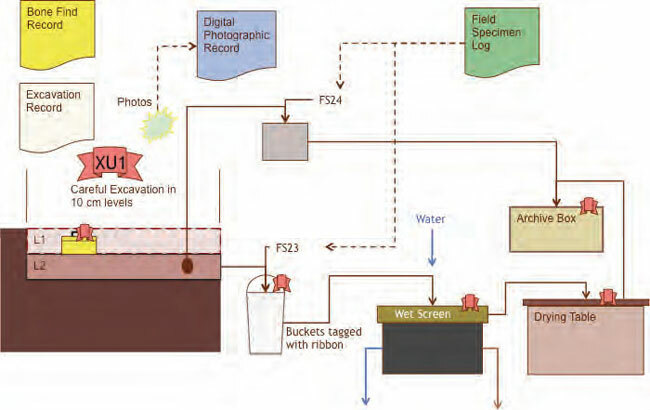 Field observations (including sketch maps) and photographs are recorded for each level, and a grab sample of in situ sediment collected for geologic analysis. 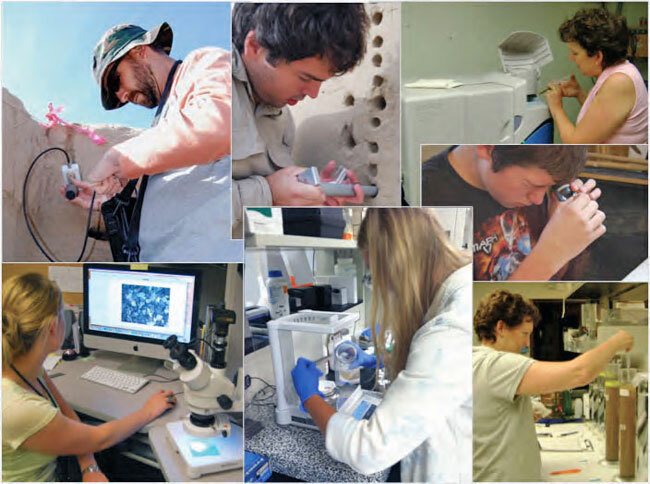 The wet screened sediments are air dried and archived for paleoecologic studies. 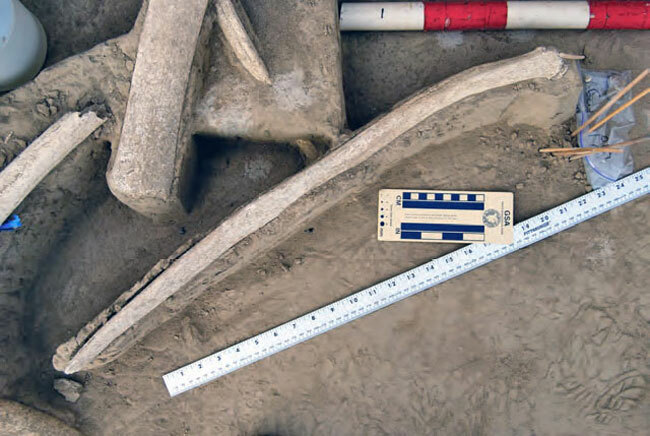 Mammoth size bones (and other unusual findings – such as erratics, krotovinas, etc.) are pedestalled until their full extent is revealed. Prior to removal, the major bones are mapped in three dimensions – map view, long axis cross section and short axis cross section. 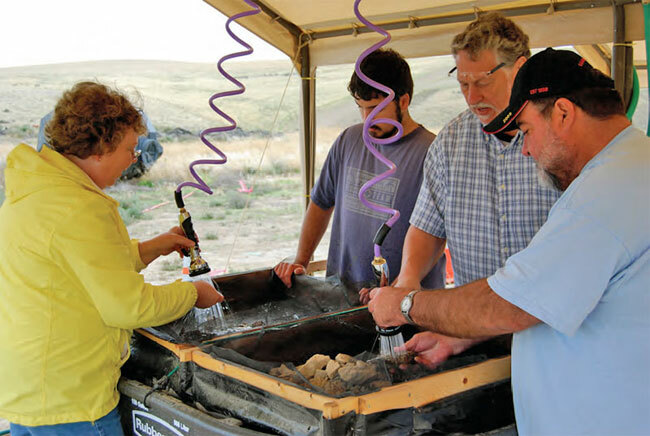 In addition to the excavation work, numerous individual studies are conducted that yield insights into the paleontological, geologic, and paleoecologic history of the site.